ORANGEVILLE, ON – A brewery with beers inspired by stays at family cottage on Bear Lake is planning to launch soon in Orangeville, Ontario. 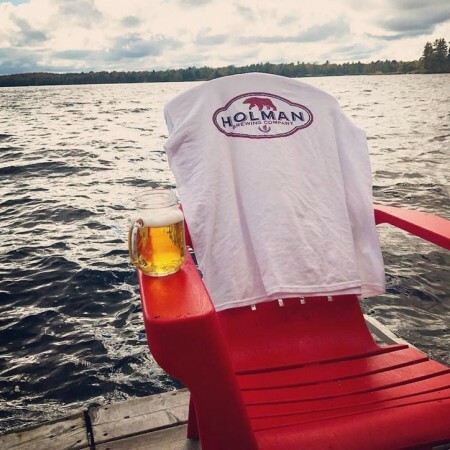 Holman Brewing has been founded by Bruce Holman, his wife Julie, and his son Brad. Bruce and Brad have been homebrewing together for a number of years, and currently brew on a 30 litre system, producing beer for their own enjoyment as well as for weddings and other private events hosted by friends and family. The move from homebrewing to commercial production will be accomplished via contract brewing, starting with Bear Naked Lager, which is described as an “easy drinking lager [that] is clean, crisp and clear with a finish so smooth it’s dangerous.” A second brand, Red Dock Amber Ale, is also in the works. Holman Brewing beers are expected to be available in 473 ml cans at LCBO stores and licensees in early 2019. For more details, see the brewery website and Facebook page.